Closing in on 2010 and embark on 2011. Seth Godin inspires ideation. What will you come to you? Plan to make 2011 the best it can be professionally and personally. · How to use your energy and enthusiasm to guide your goals. · How to give yourself permission to play even bigger than you thought was possible. · Fun easy-to-apply techniques that will move you from frenzied to focused. Treat a friend or colleague as a unique holiday gift! Lois Barth uses humor, storytelling, movement, science and psychology to coach others on how to outwit their obstacles in order to succeed in business and life. She was the life coach on two of the most prestigious makeover campaigns in women’s magazine’s; SELF and FITNESS. Her clients include: Society of Women Engineers, U.S. Navy, Girl Scouts amongst others. In addition she has been a source expert for Woman’s Day, Massage, Weight Watchers, amongst multiple relationship and working mom on-line communities. She has gleaned her expertise from combined 20+ years as a speaker, storyteller, health care practitioner, and coach. Just a friendly reminder that applications for our 2011 summer boot camp program, iCR8, are now available. 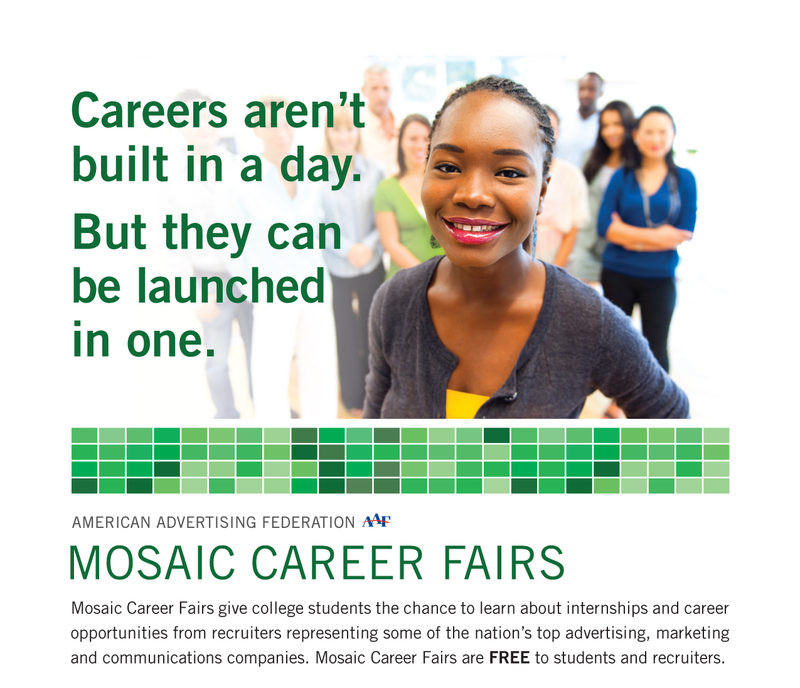 Please encourage students or recent graduates interested in advancing their careers in the advertising, marketing and media industry to apply IMMEDIATELY, as applications are due in a little over a month. Please remind students that applications must be postmarked by December 31st, 2010 and must be mailed to: The Marcus Graham Project 1409 S. Lamar #111 Dallas, TX 75215 or emailed to info@marcusgrahamproject.org. If you have any questions, please do not hesitate contacting us at 214-810-6475 or via email. AWNY 2011 Mentoring Program - Registration now open! The “12-12” goal is to meet 12 times (once a month) or a total of 12 hours to earn AWNY mentoring certification in this year long program (January to December). A frameable certificate will be awarded to all participants who successfully complete the mentoring certification program. § Help our members grow professionally in a supportive, one-on-one environment. § Provide both parties with a rewarding relationship that imparts real-life wisdom to workplace situations. § Open to all AWNY members who are willing to commit to meeting 12 times (once a month) or a total of 12 hours in this year long program (January to December). § If you are not an AWNY member go to www.awny.org and join! AM I A MENTOR OR MENTEE? You can be either: Members can participate as a mentor or a mentee at any point in their career. § Mentors: Give back. Develop future stars. § Mentees: Benefit from experienced and successful AWNY members. Typically a Mentor is older than a Mentee, but with the rapid growth of new digital technology, many younger AWNY members have more experience. Reverse Mentoring is an opportunity to learn technical skills and understand the use of social media by consumers and companies from a savvy digital Mentor, regardless of age. § Anyone at a more senior level who wants a social media/technology pairing should apply as a mentee. § Anyone well versed in social media/technology is welcome to apply and serve as a mentor to a more senior-level member. § The program strives for mentor/mentee matches that support careers and help develop individual goals. § AWNY provides ideas and opportunities to help guide mentoring pairs. For instance you might grab a quick bite, a cup of coffee and/or meet at an AWNY event -- whatever is convenient for you. WHEN DOES THE MENTORING BEGIN? § Kick off 2011! Each matched pair will receive a Mentoring Program packet in January. This packet will contain your partner’s information as well as tools to help launch the mentoring relationship. § The program begins in January and runs throughout the year. Many meet monthly, but each mentor and mentee pair determines the schedule that suits them. The “12-12” goal is to meet 12 times (once a month) or a total of 12 hours to earn AWNY mentoring certification in this year long program (January to December). Have a friend who’s not an AWNY Member? Send her to www.awny.org to join!